Georgine Saves » Blog Archive » Good Deal: Cubii Jr. Under Desk Ellipticals $184.99 TODAY ONLY! Ship FREE! Good Deal: Cubii Jr. Under Desk Ellipticals $184.99 TODAY ONLY! Ship FREE! #ad Today only, 1-14-19, several models of Cubii Jr. 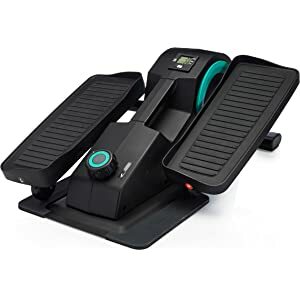 Under Desk Ellipticals are $184.99 (regular price up to $279.99) at Amazon.com. You can work fitness into your daily routine with these desk ellipticals. Featuring a built-in display monitor to track your calories, distance, strides, and RPM its an an easy alternative to the gym. Shipping is FREE.